Who I can contact to find out if having Chickens in my back yard is legal? First. Many municipalities prohibit chickens. That said, animal enforcement officers usually are called to remove them only when a neighbor complains. 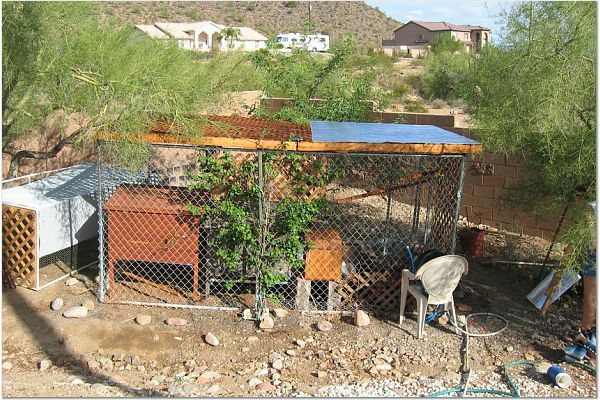 If you live in a typical suburban neighborhood, whether or not the chickens are legal, you likely will not be hassled if your neighbors don't complain. So. Ask your neighbors. If they agree not to contact the authorities about your hens, whether the chickens are legal or not you can probably keep them. If chickens are illegal, and no one complains....I think the expression "if a tree falls in the woods and no one hears it" probably applies. If you want to find out the local rules, call your local animal shelter, and they will be able to tell you what the city laws are where you live. Email me a photo of your outlaw chickens and I'll post it here and send you a bumpersticker! I am about to do battle with the writers of the "no poultry" zoning ordnance in Roswell, GA. Do you have any advise?? I was told I will need to get the city council to vote changing the current zoning regulations and that it is a complicated and involved procedure. I am waiting to hear if I can keep them while I attempt to get the ordinance changed. I can't wait to get my bumper sticker!! Here is a great site for assistance with this very item. Why would keeping a few hens be outlawed anywhere? Hens are not noisy, unlike many bored dogs. Our chickens get free run of the yard all day then put themselves up to roost at night. We supplement their feed and foraging with daily fresh greens and kitchen scraps for outstanding fresh organic eggs. 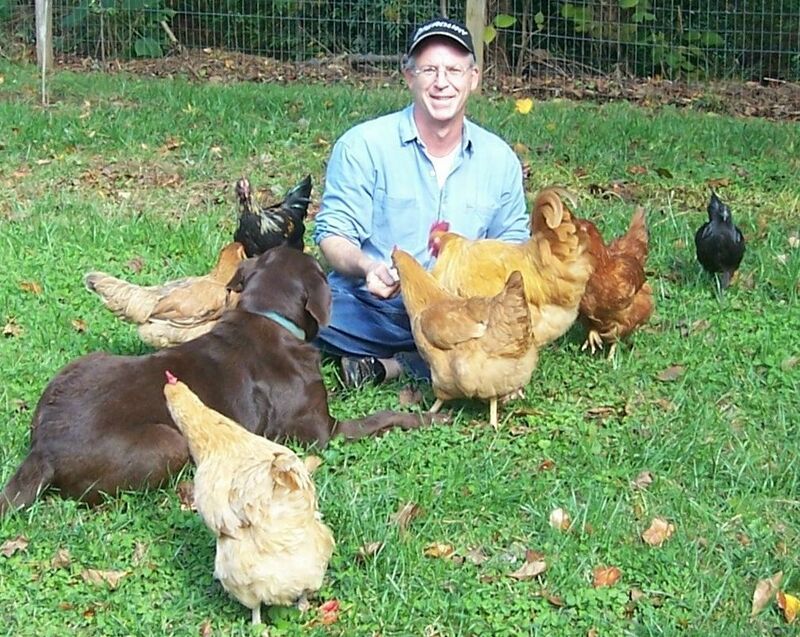 Free ranging chickens perform an excellent job at natural pest and weed control, too! We ourselves are outlaws with a snoopy neighbour who keeps telling us that chickens belong on farms. I think the next time he mentions this I'll tell him that if we ever need to get rid of our three hens we will become proud new owners of an unaltered male pit-bull. Hey, It's legal. They really aren’t supposed to be sitting on our lawn chairs but you know how it goes, when the cat is away the chicks will play. Here are Rosie and Cleopatra in my wife's flower garden. I built a (chicken) tractor that I keep in my garden. I remember when I was building it my kids were excited and my next door neighbor just acted like it was strange. I built it when my wife went away on a week long business trip. She really thought I was nuts when she came home. It didn't take long and our hens were part of the family. I let the girls out to play in the afternoon when I or the kids get home and they enjoy our gardens. We enjoy happy chickens and yummy eggs. Interesting thing about the neighbors, most don't know we have them unless we tell them (we have no roosters)...several have gotten their own poultry (chickens or ducks) and are very happy too! My sister and I both live in the city and have chickens. Our homes are in the uppity end of town and are in the half million dollar range, and our neighbors know that we keep hens. I got rid of my standard rooster and now have a banty rooster and he doesn't crow loud enough for any one to hear and funny enough I notice that , that little rooster does his job with my standard hens. 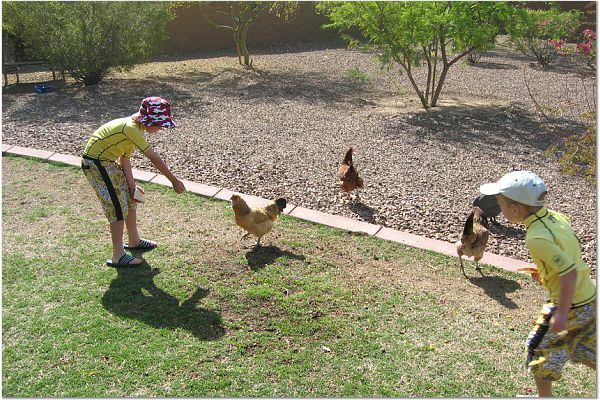 People that visit my home are often arrested to see chickens in the yard and immediately are amused. The next question is always "Are you allowed to have chicks in the city?" When my fiends see how much fun they are and have tasted the eggs from my hen house, they are often curious as to whether they could get away with raising some themselves. I was granted permission by my city as long as they didn't bother the neighbors, I have always been fearful of the day I get a letter of complaint but it hasn't happened yet (6 years). I am very careful to let them out only near dusk as to keep them from straying to far from the roost and possibly into the neighbors yards (they do like to kick the mulch away from the tree bases and gardens, this drives my husband crazy) In fact, he doesn't like that I keep hens and has named them all after different chicken dishes, ( kungpo, lemon, sesame and my favorite "chicken ala"...............our last name in King). This year I have 2 outlaw silkies I can't stop!!!! They are so sweet, even my nasty neighbor has grown to love them. I have a few Silkies, a Cochin and the rest are Araucanas or Easter Eggers. I live in a small rural town but it's become a bedroom community for Kansas City and it growing fast. I couldn't believe there were no chickens allowed. I was already so excited about getting them, there was no turning back. If I thought I could swing it I would try an outlaw miniature donkey or outlaw goats. I have already decided that I will get hens this year - even though it is illegal. I taught living history classes for years and would sometimes have to bring home hens. I kept them in my backyard for up to 4 weeks and never had one complaint - hubby didn't even know they were there!! As soon as I have my back porch built and inspected so there will be no more snoopers, I will build my hen house and get my girls. I do feel a little nervous about breaking a law, but it's such a silly law to begin with. I am putting together a defense paper to present to the city should I ever need it. If every one that had hens would keep the hen house clean, I don't believe the laws would have ever been made...or maybe it was just some "fancy" people that didn't want (ugh) FARM animals around them. I will see if my daughter can come over with her digital camera and take pictures when I become an outlaw. Way to go Sheri! I'll look for those photos! This is one of my favorite photos. My outlaw daughter with her outlaw chickens. excited perched chickens with heads stretched out to enjoy the breeze! Your bumper sticker is on its way via first class mail. Hurrah! Will proudly place the bumper sticker where it can be the most controversial. Glad you enjoyed the photo. I smile every time I look at it. soon. Truly, I look forward to their return. I would love a bumper sticker.